I won a lot of two razors in an auction, a Matador and a Gillette Tech. 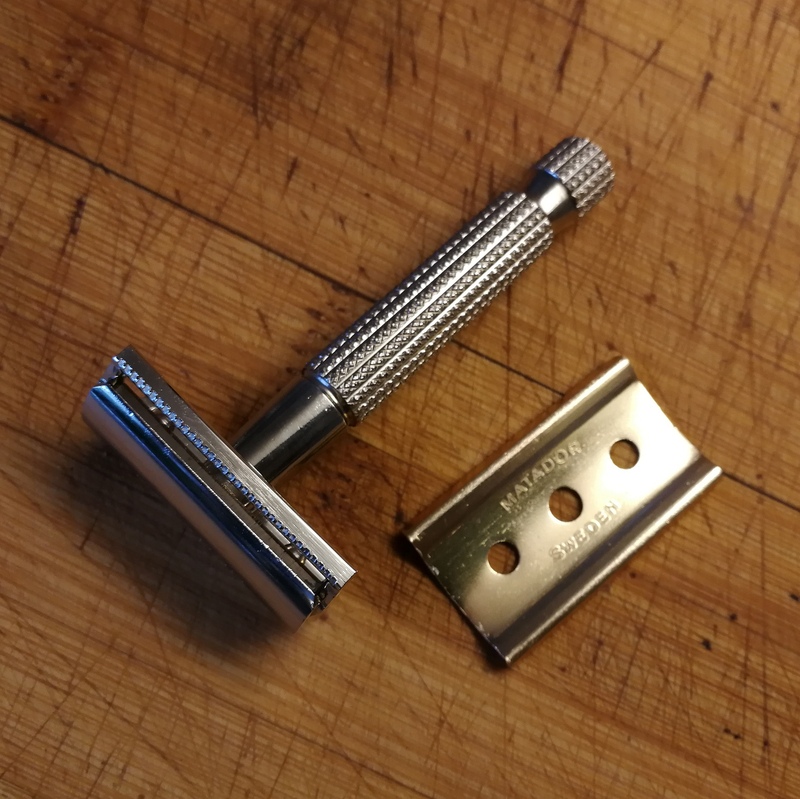 They did not look that good in the pictures on the auction site but when I received the razors today I was surprised to find both in better condition than I had thought, especially the Matador. I won't say it's new but certainly in mint condition. 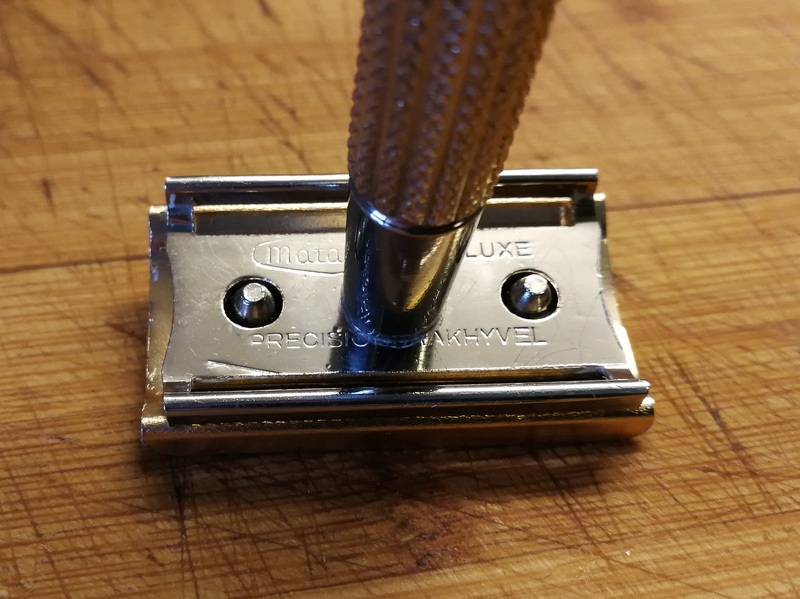 The Matador was a Swedish made razor manufactured from 1930 to the late 1950's when the factory was bought by Schick and set to manufacture injection blades (I think) and then closed at a later date. There's not that much info available about this manufacturer so feel free to share if someone knows more. I found an article about the factory building being demolished a few years back. I knew this brand existed (in fact I believe it still exists as a brand of disposable cart razors) but I have never had one of these things in my hand before. So this razor is from the late 50's or older. It is sturdily built, I'm guessing it's brass. The plating is completely intact and there is little or no sign of wear. 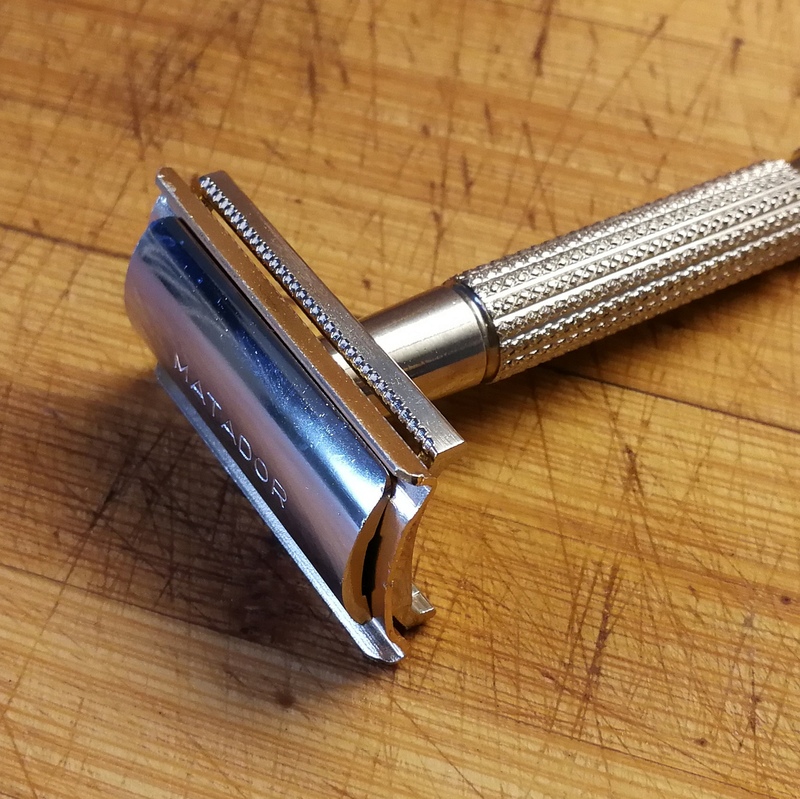 It weighs in at 64 gram and the size is almost exactly the same as my Merkur 34C. There are a few odd things about this razor. First, I thought it was a three piece but it turns out the bottom plate is fixed to the handle (rotating on a brass bushing). Second it was delivered with a sort of brass plate which can be seen in some of the pictures and which appears to be intended to protect the blade. Never seen one of those before, are they common? Is it meant for traveling with a blade in the razor, perhaps? It's an original bit as it has Matador stamped onto it. 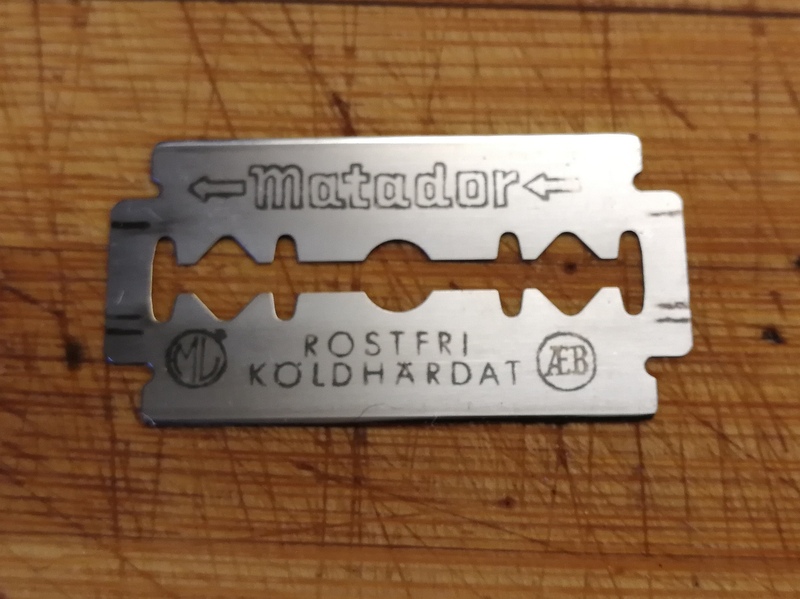 Finally the razor came with a (Matador brand) blade in it but it was not dirty and the blade even looks unused. So, I'm posting this in case someone have some more info, or can see something in the pictures that I'm missing or just finds this interesting. I do, but then, I'm biased. Without the brass plate "safety". Brass plate next to it. And finally the blade that was in it, looks pretty fresh for a used 60+ year old blade, I thought. That is stunning. You need to shave with it and give us your impressions. (03-18-2019, 09:05 AM)slantman Wrote: That is stunning. You need to shave with it and give us your impressions. Thanks, I think I got lucky. I am absolutely going to shave with it, it will be interesting to see how it performs. I absolutely love my Matador. Short guardspan gives it positive exposure making for an extremely efficient shave. (03-18-2019, 10:16 AM)jmudrick Wrote: I absolutely love my Matador. 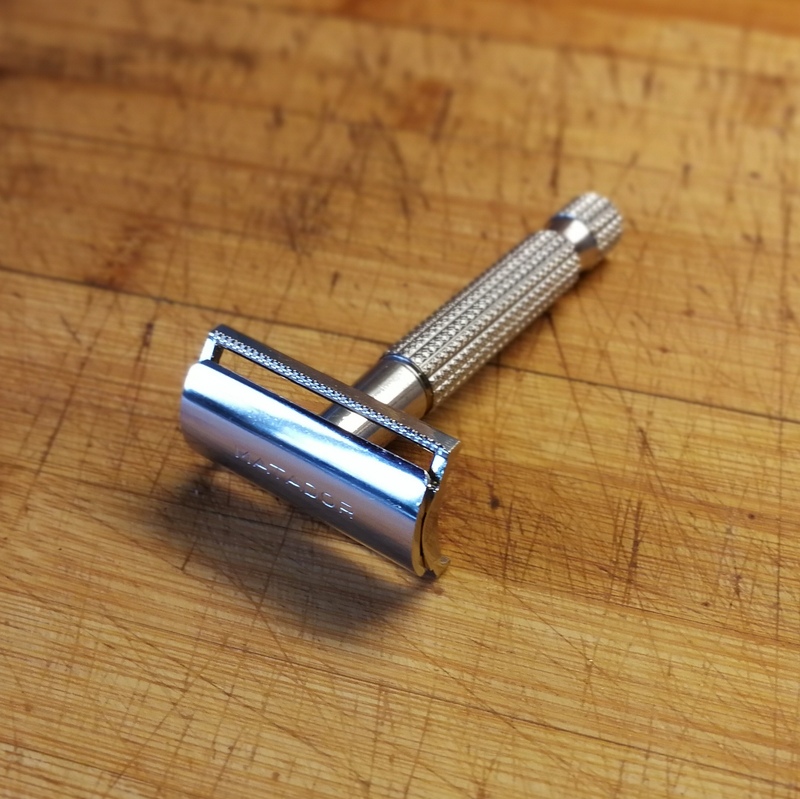 Short guardspan gives it positive exposure making for an extremely efficient shave. Awesome. Yeah, I thought the blade exposure looked aggressive. You didn't get one of those brass plates with yours by any chance did you? The "travel blade-guard" or whatever it is. Nope just what you see. I'm not sure of the proper terminology here but the gap between the safety bar and the blade makes this razor look really aggressive to my eyes. Here's a comparison with the Merkur 34C in the background and the Matador closest to the camera. I tried to shave with it today and it went well, one tiny nick but I suppose that's ok for an unknown razor. Too early to really tell what I think, I could feel the blade for sure but I did not get an impression of it being terribly aggressive. I only had 24 hours worth of stubble so it was an easy job. Feels damn good though, balance and weight seems right. Gap certainly doesn't tell the whole story. With very small or negative blade exposure, a large gap can be quite mild. (03-20-2019, 02:12 PM)kingfisher Wrote: Gap certainly doesn't tell the whole story. With very small or negative blade exposure, a large gap can be quite mild. I take your point. In this case, though, it didn't feel particularly mild and I got some irritation after the second shave with it. That might have to do with me not using the right angle and scraping the blade, perhaps. A greater gap would allow for a steeper (potentially too steep) angle, wouldn't it? I need to use it some more to really form an opinion. EDIT: I had a thought. I think the "overhang" of the blade caused by the large gap may perhaps not be inherently "aggressive" but it can cause the blade to catch the skin on uneven parts of the face or neck. Feels like that's what happened when it bit me. So I think it requires some careful technique. On the bright side I suppose the large gap should be good for preventing clogging. Like I said earlier it's positive exposure that makes the Matador a relatively aggressive razor. Not as aggressive as a Barbasol Floating Head but a lot closer to that than a 34c. And like the Barbasol it has very short guard span, as does it Swedish cousin the Swing. In lay terms the blade is closer to your face. (03-22-2019, 07:04 PM)jmudrick Wrote: Like I said earlier it's positive exposure that makes the Matador a relatively aggressive razor. Not as aggressive as a Barbasol Floating Head but a lot closer to that than a 34c. And like the Barbasol it has very short guard span, as does it Swedish cousin the Swing. In lay terms the blade is closer to your face. Yeah, that's how it feels. I sense that I need to adjust my technique to get this razor to work well. I shall keep trying. Had another shave with it. Still not quite there but it's growing on me and I do believe the problem is my technique. 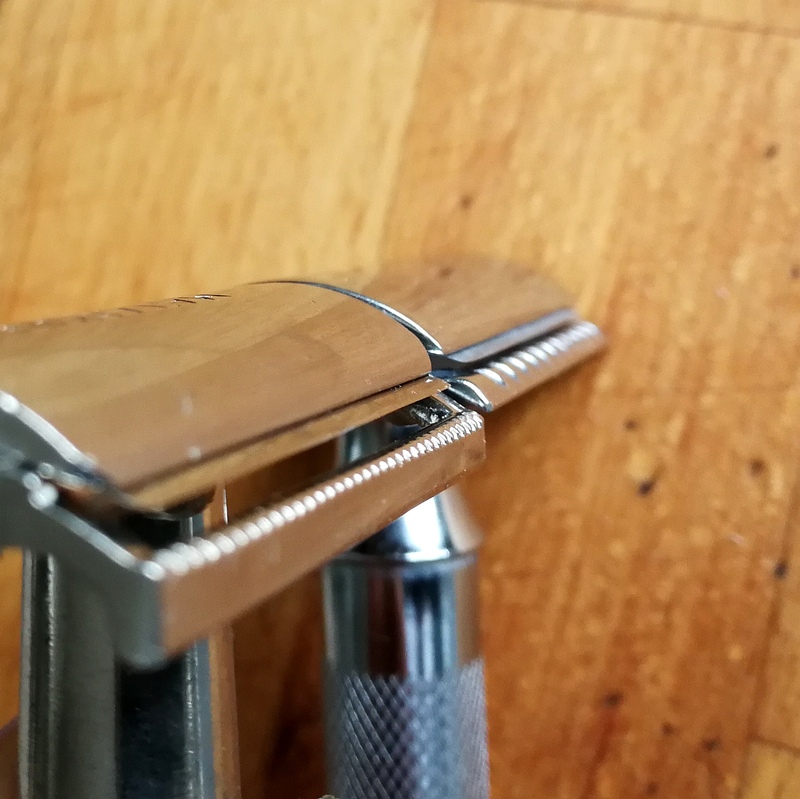 Didn't cut myself this time, but the shave is uneven with the problem patches less smooth than they are with my other razors. I think it's about angles more than anything, a different blade choice might help. I'll keep working on it. I still can't quite get along with this razor and I really do want to. I like everything about it except, well, how it shaves. The best result so far has been with Feathers but I can't seem to get shaves that are both close and bloodless. Not sure if it's my technique, a matter of angles or maybe just that it's too aggressive for me. Not giving up quite yet but this razor is difficult for me to love. I think I've got this sorted now. 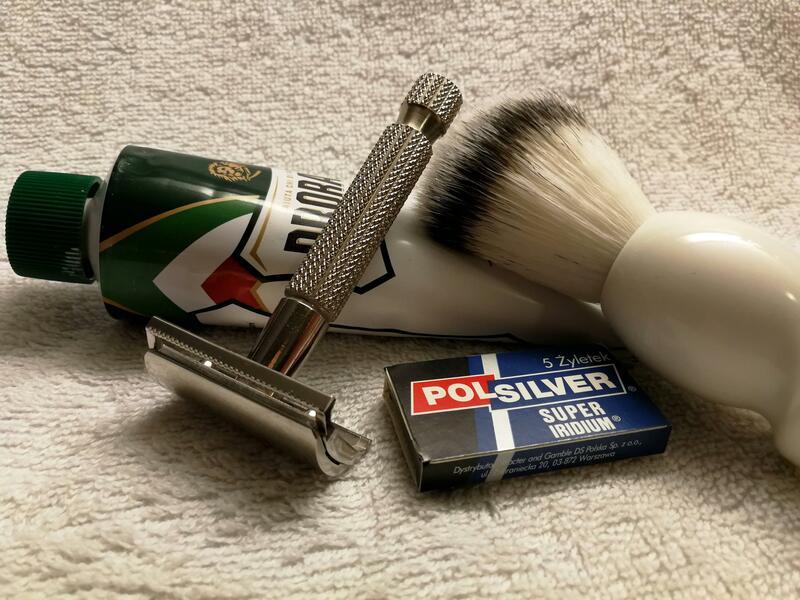 I've adapted my technique and/or found the right blade because today's shave with Polsilvers was both close, fairly comfortable and bloodless. (04-08-2019, 11:21 AM)RazorSteve Wrote: I think I've got this sorted now. 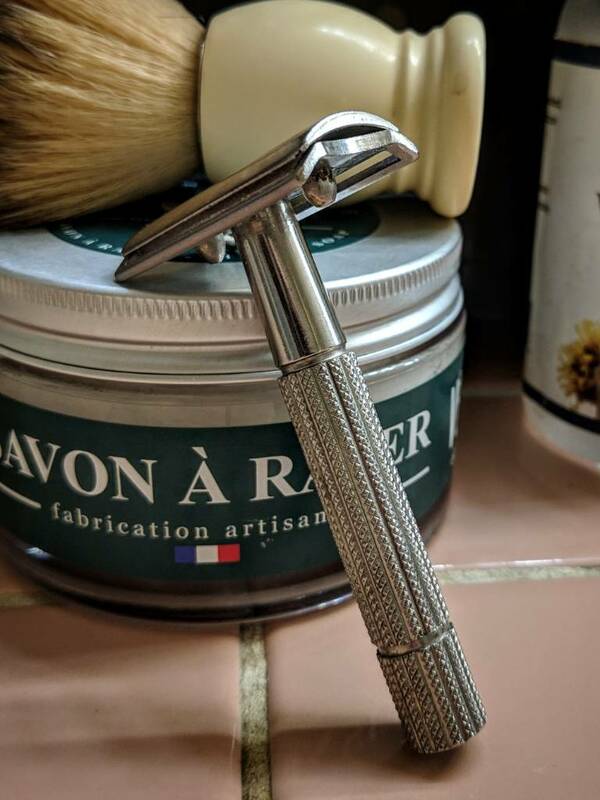 I've adapted my technique and/or found the right blade because today's shave with Polsilvers was both close, fairly comfortable and bloodless. I get the feeling this thing is really picky with blade angles. Not particularly forgiving when you get sloppy. Having said that, yesterday's shave was really, really close so perhaps my persistence will pay off in the end. A razor with the Matador's exposure is going to be real picky about pressure as well. But it's not so aggressive that you can't get to a place where handling becomes pretty automatic in my experience.